RICHMOND, Ind. 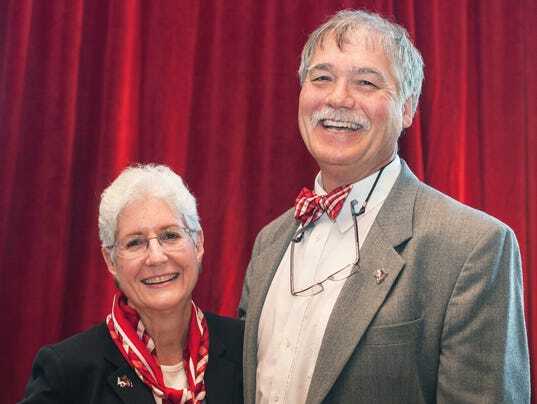 — An Indiana University East professor who is the husband of the school's chancellor has died from injuries he sustained Monday morning in a bicycle accident. Eugene Cruz-Uribe, 65, the husband of IU East Chancellor Kathryn Cruz-Uribe, died at IU Health Methodist Hospital, according to Lt. Randy Retter of the Wayne County Sheriff's Office. Cruz-Uribe had been found just after 6:30 a.m. on Minneman Road south of Richmond, Retter said. Cruz-Uribe had been southbound on Minneman Road south of Hartman Road on his bicycle when the accident occurred, according to Retter. Retter said investigators do not know what transpired to cause the accident. Cruz-Uribe was by himself when found and is believed to have been bicycling by himself. "We're looking into many different avenues," Retter said of the ongoing investigation. "We're going to look at all of the pieces and cover all of the bases." Retter said Cruz-Uribe was unconscious at the scene and was flown by LifeLine medical helicopter to Methodist in Indianapolis. An investigator traveled to Indianapolis, Retter said, but was not able to speak with Cruz-Uribe. Kathryn Cruz-Uribe became IU East's sixth chancellor on July 1, 2013, moving to the Richmond campus from California State-Monterey Bay. Eugene Cruz-Uribe was a professor of history at the school. Anyone who might have information about the accident should call the sheriff's department at (765) 973-9393. Mike Emery is a reporter for the Palladium-Item. Contact him at (765) 973-4466 or mwemery@pal-item.com, and follow him on Facebook and on Twitter at @PI_Emery.